Car accidents can cause serious personal injuries and are usually at the expense of a careless or inattentive driver. 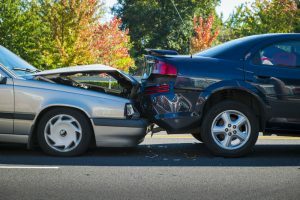 Injured victims should hold the other driver accountable for the problems they have caused by obtaining justice with a car accident attorney at Joseph C. Crudo, PLC in San Diego. We can help victims file claims and lawsuits if necessary. Your car accident should not leave you with a mountain of medical bills and car repair bills, the person responsible should be held accountable. Contact us for a free consultation to learn if you are a candidate for legal support for your car accident. When you get into a collision, you are required to file documentation to the DMV of the incident, even if the accident was not your fault. Documentation will also be required to be submitted to insurance companies. In the event that the other driver is uninsured, your insurance may not cover all of your medical and car repair costs. This is when legal action will become favorable to you. We can handle all personal injury claims as well as any fatal accident cases. Your personal injury claim will be completely in our hands so you don’t have to worry about anything but healing from your accident. Severe Injuries – Injuries that have caused you severe long term pain or permanent disabilities. These can be life altering to the quality of your life. This can affect your employment status as well as abilities. Expensive Medical Bills – Medical bills can become outstanding from the time of the accident and your future need for healthcare. Filing a claim can help with these expenses. Loss of Wages Due to Injuries – Occasionally injuries will leave people unable to work, resulting in a loss of income. You will need compensation to get you through this hard time and your future if your injuries cause permanent damage or disabilities. Know Your Rights – With an attorney, you will be aware of all rights you have as a victim. Gain an Advantage – When going up against insurance companies, they will have their own team of legal experts. With a car accident attorney of your own, the other side will not be able to use any tricky tactics. Win Your Claim – With the help of an attorney for your car accident claim, you will increase your chances of winning your claim and coming out with a better compensation than you would have gotten on your own. If you have recently been in a car accident that has left your injured or disabled, please give us a call at 858-622-7280 for a free consultation. You can also fill out our online contact form on our contact us page. We will evaluate your claim and instruct you on how to proceed.